Marklin H.O. 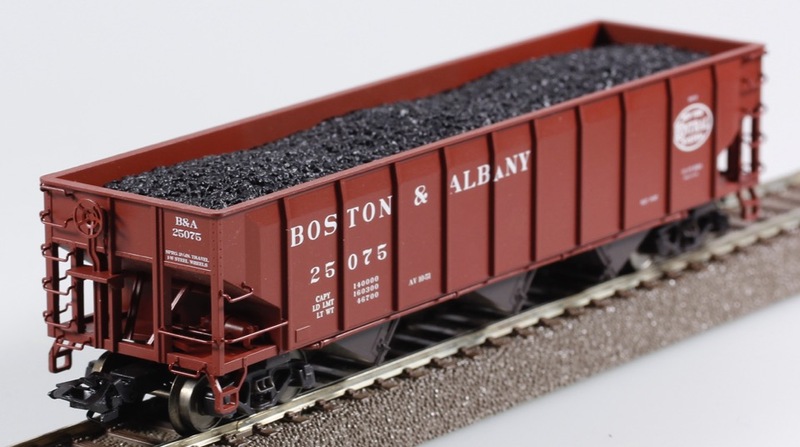 #25075 Boston & Albany 4 axle Coal Hopper Car. This item was removed from set #29571. It was produced in 2004 for use on the Marklin three rail A.C. system. It is an excellent complement to Marlin car set #45801 - New York Central System Coal Hopper Car set. Because this car was removed from a set it is offered without an original box.